The Hampton Inn and Suites Saint Paul opened in November 2016. This brand new hotel features 160 sleeping rooms and 3,400 total sq. ft. of meeting space. 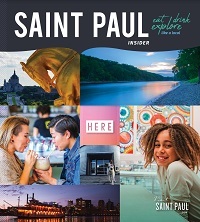 Located at 200 7th Street West, across the street from the Xcel Energy Center, RiverCentre, Roy Wilkins entertainment complex, just one block from the Science Museum of Minnesota, Saint Paul's beautiful Rice Park and just steps away from 15 restaurants, bars, bistros and cafes. Fans of hockey, welcome to Saint Paul and Xcel Energy Center.